What’s your motto for 2016? What goals do you have for the new year? Let me know in the comments! Are you a fan of using Chrome extensions to boost your productivity? I’ve found a few which have really helped eradicate distractions, make the most of your time and speed up your browser. Have a listen, then let me know in the comments below which extensions you love. I’ve also popped the links below for the extensions mentioned. TLDR – Sadly, this has recently stopped working. If anyone has any alternatives, let me know! It’s podcast time! 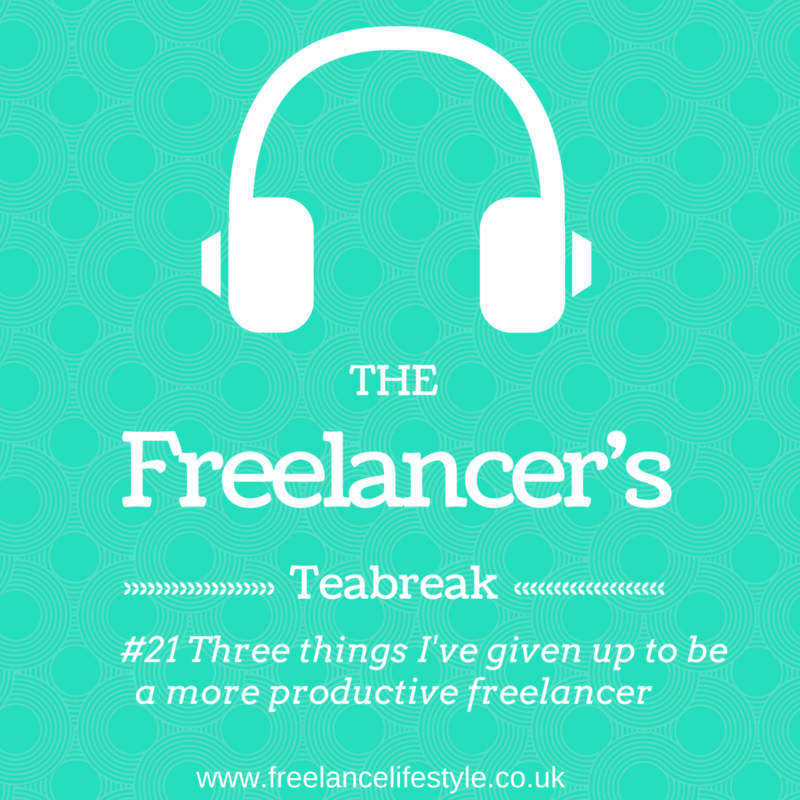 Pop the kettle on, grab your favourite biscuits (hell, it’s Wednesday, cut yourself a huge slice of cake) and have a listen to this week’s three minute Freelancer’s Teabreak. This week, I wanted to talk about routines – morning and evening. 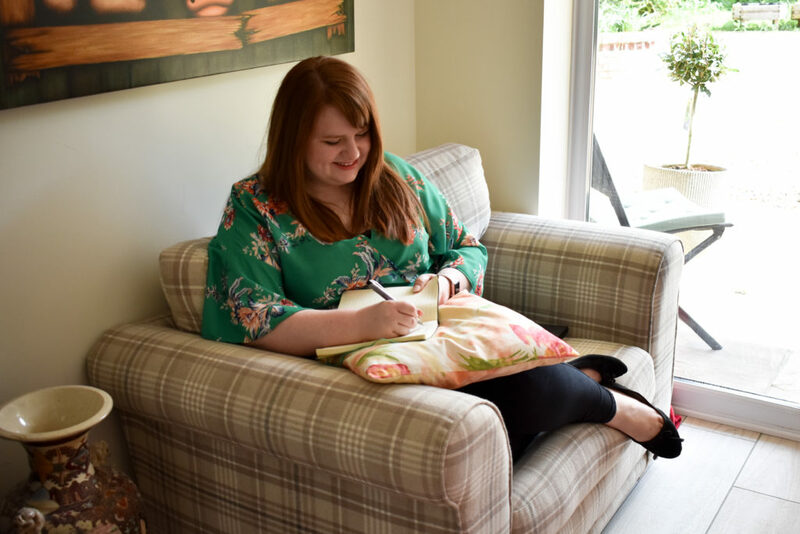 I’m also setting you a challenge to sit down and make a list of five things you’ll have on your morning and evening routines to help develop a happy and healthy freelance lifestyle. Want to make sure you get the podcast as soon as it goes live? You can subscribe on iTunes. A slightly longer podcast this week, all about three things I’ve given up recently (or at least cut down on) to make the most out of my time as a freelancer. I think as freelancers we’re all constantly trying to be more efficient and get more out of time, but sometimes you don’t notice the things that really are sucking time out of your day. For me, those three things are: TV, toxic Facebook groups and not completing tasks. Listen to the podcast to find out more, then come tell me in the comments how you’ve boosted your productivity. One of the things I’ve loved doing on the work front since my little boy came along, is podcasting. It’s a super-easy way to create content, and I often sit with my headphones in recording one while he’s napping or quietly feeding. I was struggling a little with the editing and uploading side of creating a podcast and briefly considered paying to outsource it, but I’ve now found a workflow that means I can record, edit, upload (to Soundcloud and iTunes) and blog about a podcast in just 15 minutes – all from my phone! Hit play above to watch my Periscope for how I do it, and have a look below at the resources you’ll need to do this. p.s my Freelancer’s Teabreak podcasts are just 3 minutes long, so you may need to adjust your timings if yours are longer. The editing, uploading and blogging stages really can take just ten minutes though once you’ve practised. Frankly, starting up Garageband on my Mac can take that long alone. You can listen to my podcast on Soundcloud, or subscribe on iTunes. The Opinion app to record and edit podcasts. I’ve been looking for an app for ages that did this (I find Garageband really difficult to use on my iPhone), and this ticks all the boxes.I record my podcast in this, then trim it down and import in my intro which I had recorded by the lovely Reddhorrocks on Fiverr. IFTTT recipe to upload to Soundcloud from Dropbox. Once I’ve recorded and edited my podcast in Opinion, I upload it to a specific folder in Dropbox. All new audios in this folder then get automatically uploaded to Soundcloud. You will need to go into Soundcloud and tweak it a bit, but it helps to save the Opinion file with the name of your episode. IFTTT recipe to create a draft in WordPress with your Soundcloud embed code. This one still requires a little further tweaking, but it’s great to create a draft you can go in and further edit. Are you tempted to podcast? Or do you already have one? Share your link in the comments below as I’m always keen to hear about other podcasts. 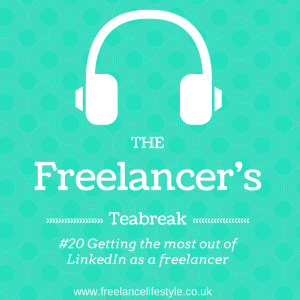 The Freelancer’s Teabreak #20: Are you getting the most out of LinkedIn? It’s podcast time! Pop the kettle on, grab your favourite biscuits (hell, it’s Friday, cut yourself a huge slice of cake) and have a listen to this week’s three minute Freelancer’s Teabreak. This week, we’re diving into everyone’s 9th favourite social network – LinkedIn. To be frank, it’s not usually the social network many of us gravitate towards, but it actually has a lot to offer freelancers. 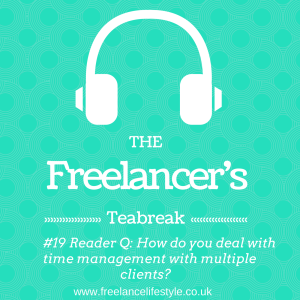 I’ve shared a few tips for how to get the most out of it – and potentially land a client. To catch this week’s three minute podcast, subscribe on iTunes. Do you use LinkedIn regularly? Have you got any success stories? I’d love to hear about them in the comments below! 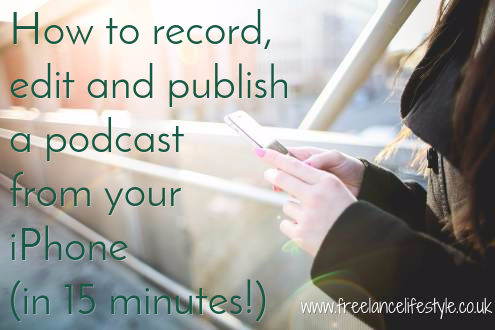 p.s Want to know how to record, edit, upload and blog about a podcast in 15 minutes? I’ve got a Periscope video coming up on the blog very soon about that…. The Freelancer’s Teabreak #19: Reader’s Question – how do you juggle multiple clients? 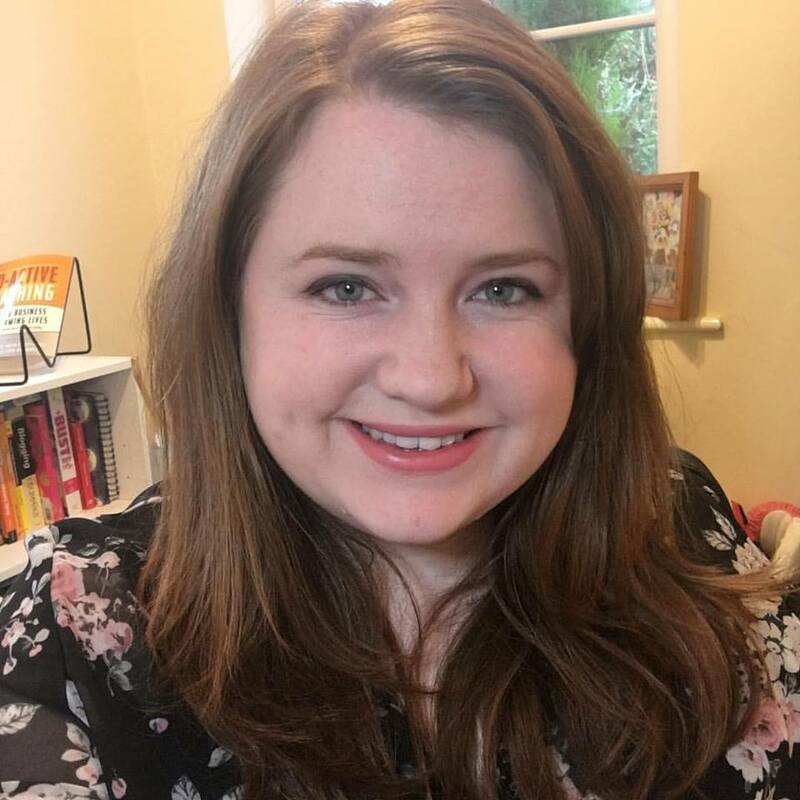 This week, Kerri Walker left me a question on voicemail (you can submit one using the tab on the right or clicking here) asking about balancing multiple clients. Should you block out time or work through a To Do list? Have a listen to find out! You can subscribe on iTunes. This week, I chat about those little activities you can do in 15 minutes as a freelancer. I’ve suggest five activities, including some of those ‘I hate them so I’ll shove them to the bottom of my To Do list’ jobs. I always find that thinking about it in terms of ‘only’ being 15 minutes makes it much more managable. You can listen in Soundcloud, or subscribe on iTunes.